I’ve been dreading it a bit – as I had a couple of Holga back opening incidents and the Diana Mini has frustrated me endlessly. Jay had a couple of films in there too, including from the equally brilliant and irritating Supersampler. I popped up on the train to the lab after work and picked the shots up and had a natter with the lady who works there. Churchill Colour Labs – to give them a plug – do a great job and have an excellent gallery in their shop. So, the results – as usual, the Holga irritates and amazes at the same time – I think this latest set of mine were less good than the last batch, but there were some interesting shots none the less. 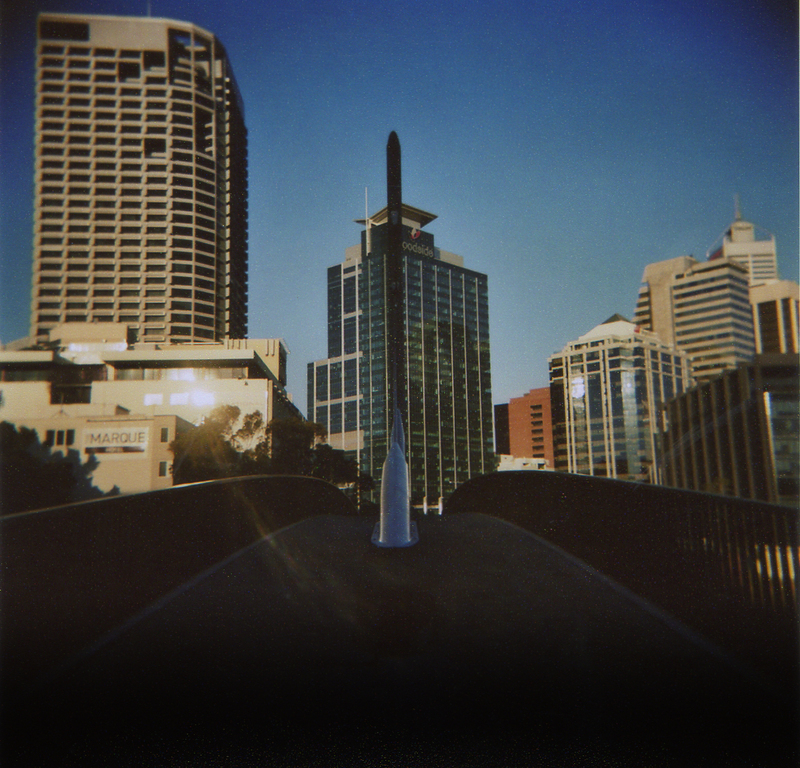 And I’d forgotten I had the first shots from the new Holga wide-angle pinhole – they were underexposed, but then its a hit and miss thing with manually timing an exposure for 10 seconds. Is that under ideal light, or the light I have in front of me. Add a bit for luck and still not enough. Ah well, all good fun. 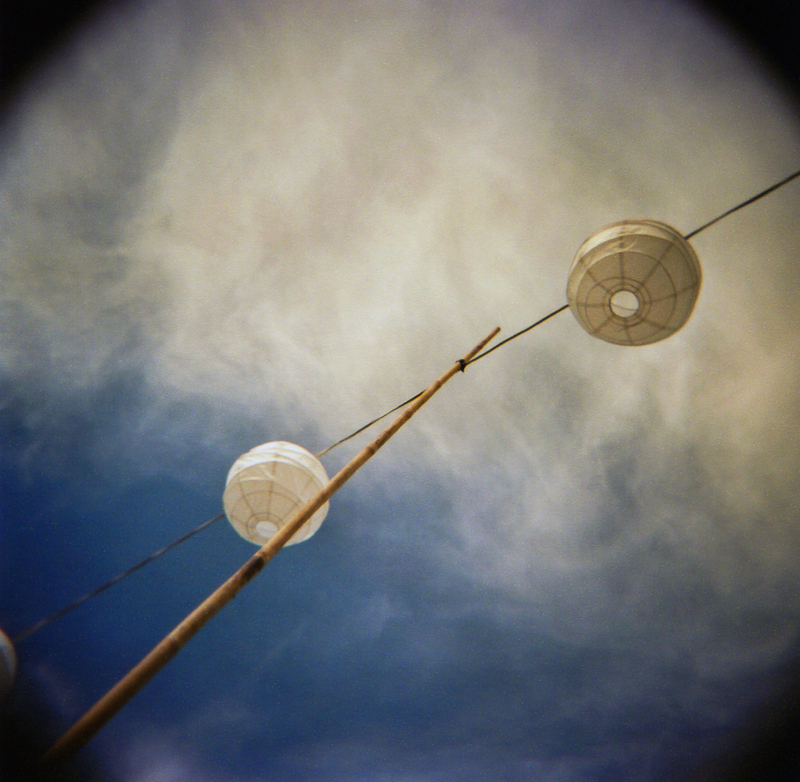 Taken with the Holga pinhole wide-angle camera – a little under exposed, but I love it none the less. Wide angle is AWESOME! i quite like that last one. cool – thanks – I love it too! Killer! All of them are amazing. Gosh I can’t wait for the weather to get better here so I can go outside for some shots. My beloved Holga stuffed up on me the last 2 outings, one to eat the foam spacers inside and the other cos, well, I kinda sat on it and bust the lens. oops. A bit of prising and poking and some black tape and we’re back in business. Oh yes! More to come. Love the sky one, Charlie. 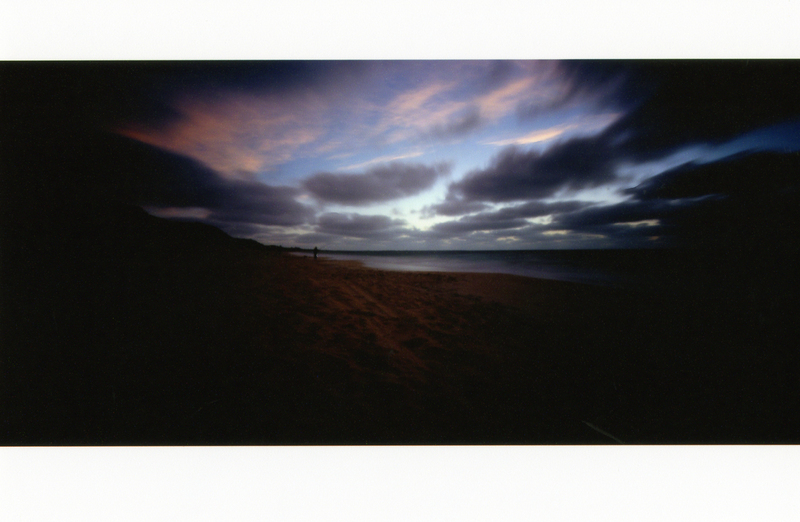 Thats with a pinhole camera – you have to guess the exposures depending on the time of day, I think I guessed wrong, but I still like it anyway.